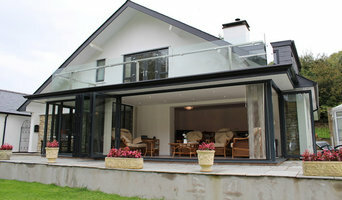 James King Architects is a contemporary Architecture and Design practice based in Cardiff. 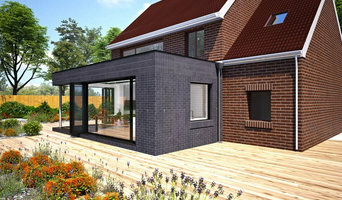 We specialise in one-off dwellings; renovations, extensions or full build, as well as small-scale commercial projects. Architecture + Design. Lead Consultants on BBC2 ‘Your Home Made Perfect’' The house that £100k built' & ’Tricks of the trade' Working all across Wales. 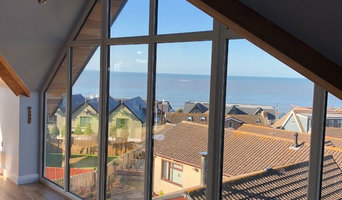 Dennis Hellyar Architects is an RIBA Chartered Practice providing Architectural Services in the South Wales and South West Regions. The Founder Dennis Hellyar is an award winning Chartered Architect with over 20 years experience in professional practice, formerly directing teams to deliver major public projects in the South Wales Region. Passionate about Sustainable and Innovative - Architecture and Design and with an unsurpassed enthusiasm for Architecture projects, all clients benefit from Dennis’s personal attention to their project. He personally guides each scheme through the various stages of Feasibility, Client Consultation, Design, Approvals and Construction of the building project. 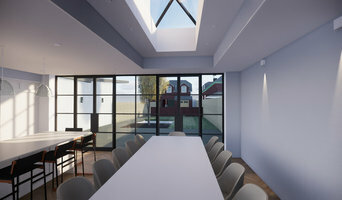 Every project in the office, receives the same rigorous approach utilising State of the Art Virtual Building Modelling software to achieve the optimum design, in response to the brief and budget. GLEN THOMAS ARCHITECTURE consciously pushes against the boundaries of conventional creative design. 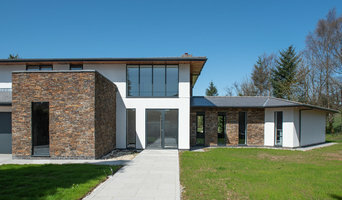 It is a fundamental ethos of the practice, that the process of building should always be an explorative, progressive and enriching experience for BOTH the designer and the client, taking inspiration directly from context rather than 'fashion', that then gives birth to a solution beyond the confines of the building itself. The emphasis of each and every scheme is to develop a unique, contemporary design solution with the client, exacerbating all options until a collective and extraordinary proposal is reached. Beautiful design should be achievable as a solution to all project challenges. By listening to clients specific requirements and aspirations and thoroughly exploring each potential simple or radical avenue, our practice strives to deliver a sense of place for the inhabitants that exceeds all expectations. Glen was Project Designer for the STIRLING PRIZE nominated, and RIBA award winning 'OUTHOUSE', click on 'Professional Information' opposite, for more information. CLIENTS: Additional to developers and many wonderful, inspired home owners, Glen Thomas Architectures' clients include; Donna Karan, David Bowie, Elton John, Prince Earnst Of Hanover, Architect Richard Meier. Glen's work has featured in many publications from *Wallpaper, Elle Decoration, Blueprint and Vogue and has designed furniture, chosen to represent 'Modern Design Classics', included in the permanent exhibited as part of the '20th century Design and Fashion' exhibition, MUDE, Lisbon. SERVICES : Glen Thomas Architectures' work ranges from small extensions of the home, through to new build residences, restaurants and large scale house developments. The design practice offers a free initial consultation to discuss your project, no matter how small or expansive. Work stages from initial brief, design concepts with3-D visualisations, feasibility study, planning applications through to project management and completion are tailored to suit. Sometimes, a client may just need some ideas! The practice seeks to simplify this process and make it more accessible to all. A full INTERIOR DESIGN service is also available. Glen has extensive experience and contacts within Kitchen manufacturers, flooring suppliers, bathroom, specialist glazing manufacturers, electrical and lighting design, and can on request, design furniture for the entire project. Alasdair Robertson works in the West Somerset area, and is active on projects throughout the South West of England. Having gained broad experience across various sectors of architecture and design, his 25 years of professional experience have led to a specialisation in the domestic scale. His range permits the opportunity to work with historic and contemporary, and blends of both, with results which satisfy beyond expectation. With sustainability being an increasingly vital aspect of construction, every opportunity is taken to incorporate eco-friendly elements into our schemes, benefiting user and community alike. Typical projects include: Domestic new build, renovation, conversion & restoration. Small commercial, interior commercial, equestrian and historic buildings. Creative applications for out-buildings. If your renovation is more than a simple benchtop replacement or roof re-tiling job, then it may be time to find an architect in Cardiff, UK who can manage your project from start to finish. Depending on the architecture firm you hire, the scope can span from planning sustainable design into your renovations, to selecting furniture and even interior finishes. An architect is often the first person you hire for your project. Before taking steps to find an architect in Cardiff, UK, ask yourself what you want to achieve from your renovation or home construction. Do you want to improve the liveability and sustainability of your home, or simply expand? What style of architecture do you prefer? Once you have established your motivation, research architects that have completed similar house designs in your Cardiff locale and within a comparable budget to yours. Ideally, your Cardiff, UK architect will be involved in all phases of the design process, from the initial concept to the completed construction. Your architect may be needed to select and hire Cardiff subcontractors (e.g. builders, engineers and landscape architects) just as they may need to negotiate contracts with stakeholders. A good client-architect relationship will ensure they are your biggest advocate along the way during construction. Find residential architects on Houzz. To find the best Cardiff, UK architect for your home design project, narrow your search to find professionals in Cardiff, UK. Then browse their latest projects and read reviews. You can also look through photos of projects to find an interior architect or designer who has worked on a project similar to yours.